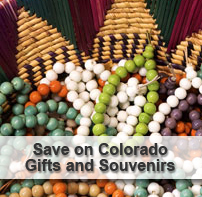 Bring home a reminder of your visit to Colorado by making a stop at Colorado Gifts. 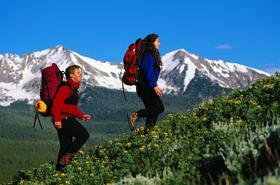 We are largest souvenir gift shop east of Denver featuring products made in Colorado. Our family-owned-and-operated store has gift baskets, Native American pottery, T-shirts, jewelry, and household items. Buy something for your family and friends so that they'll get a taste of your experience in the Centennial State. While you're at it, pick something out for yourself. Visit us in Limon, Colorado, for a unique selection of Colorado-themed gifts and souvenirs to help you remember your stay. Outfit your family and friends in apparel from Colorado Gifts. We sell Colorado-themed sweatshirts, hoodies, jackets, T-shirts, fleece items, baseball caps, and socks. Sizes range from infant to adult 3X, so you don't have to worry about finding something that will fit. Accessorize your wardrobe with beautiful jewelry from our collection that includes Native American, glass, and beaded pieces. Our jewelry looks good with either casual or business wear, so you can literally wear it all the time. We also have men's jewelry, including money clips, pocket knives, and key chains. Choose from ready-made Colorado-themed baskets with coasters, chips, dip, salsa, and a dessert or custom make your own basket. A coffee mug gift basket with either Colorado cocoa or coffee is also available. Our gift baskets are a perfect choice when you want to give someone a present that is unique. Decorate your home with Colorado-themed furnishings that help you remember the good time. Find Native American pottery made on reservations native to Colorado at our shop. These pieces make great conversation pieces and offer you some history as an added bonus. Other products available include shot glasses, picture frames, magnets, and key chains in a variety of styles and colors. gifts and souvenirs that serve as permanent reminders of your visit.